If you have been searching the net for an easy sports widget to add to your website, you have probably found a number of rather confusing and intricate widgets that typically require a lot of time and resources to add to your site. Scoreboards.net now removes the hassles from your search, with a free (and easy) sports widget, designed just for you. Most of the widgets that are available require an in-depth knowledge of html programming. In support of our sports webmasters, our technicians have designed an easy-to-add widget that will take only minutes of your time. Before you start, we will clarify the difference between a ‘widget’ and a ‘gadget’. This will assist you in understanding what you are looking for and what you need for your sports website. A ‘gadget’ is typically a resource tool that can be added only to specific and proprietary websites that often require specialized sponsorships. You don’t want to be tied down to any obligatory situations; a ‘gadget’ is not what you are looking for. The Scorboards.net ‘widget’ can be added to any website, with just a few easy steps and is available for your favorite football, baseball, basketball, soccer, and hockey teams. Ever since the first high tech, surround sound, widescreen, oversized television came out with full home entertainment abilities, there has been a battle going on. The war started out within the sports stadium world when they realized so many people were staying at home to watch the games. There is a lot of money invested in a stadium game and attendance (or lack thereof) has a direct reflection on the revenue stream that pays for everything. Stadiums had to out trump the home entertainment industry by offering flashier, better, bigger, louder, prettier sports experiences. The era of high tech has entered into all of our worlds and now, as consumers, we have begun to expect the very best at our team games. Gone are the days of just cheering for our team. Now we need to see instant replay in sharp colorful clarity with streaming video and sponsors wildly showing and offering their particular method of player support. Each game must be a show and each show must be flashier and better than the last. Stadiums have bought into the showmanship concept and it is paying off for them, big time. Every decision that is made in business, school and life today has a direct reflection on the kind of carbon footprint we make. The world has finally woken up to the fact that we cannot continue down the path of polluting our earth without consequences. The high volume of energy demands plays a major role in the kind of purchases that we make and there is a slow transition around the globe to more ecologically friendly energy sources. These decisions include our technology and for schools and stadiums, that equates to their choices in electronic scoreboards and the peripheral equipment. 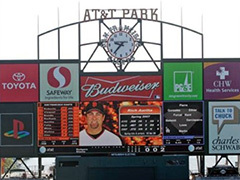 When you are looking to purchase an electronic scoreboard, there are a number of factors that come into play. The desire to have everything on your ‘wish list’ may be counteracted by the perceived price. 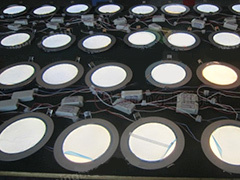 However, there are some important aspects of the newer high technology scoreboards that you need to consider, as they will often not only pay for themselves but, if chosen wisely, can offer opportunities for additional recurring revenue for your school, team or stadium. Metairie Louisiana shares the same history of French influence as the New Orleans area. The location of the town along a Mississippi River branch elevated it to an importance for transport. The people of the area are deeply rooted in their culture and traditions, with a fine sense of hospitality and an intense love of their sports teams. 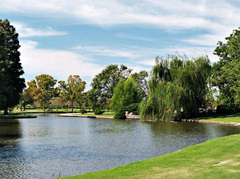 The area boasts many areas for their team games of basketball, football and baseball headed by the Jefferson Parish Parks and Recreation; with a special love for tennis. Originally settled by the French, they named the town of Metairie after the word which meant sharecropper. The residents were hard working with an excellent sense of ethics. The delta area was known for much of the land as swampland and while the location was key, this detained early expansion and was also problematic with natural disasters, such as hurricanes and floods. Most people don’t realize that Birmingham, Alabama started out as a merger of three little farm towns. It was originally created as a center city where cheaper labor that was not related to a union as well as African American workers could work in the blasting furnaces and steel mill environment. 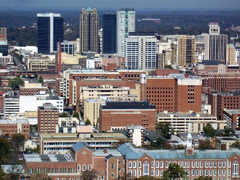 Birmingham has had a checkered past, overcoming obstacles that would collapse most towns. Birmingham is an astounding swirl of sports fans of all venues: football, baseball, basketball, ice hockey, motor sports, golfing and more. The scoreboards of any stadium, no matter what the team, are the highlight of the games. 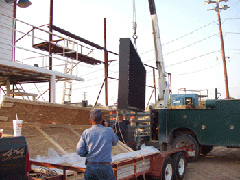 The Cowboy Capital Rodeo Association (CCRA) in Texas understands the importance of an electronic scoreboard. A scoreboard is key to a world class show presentation. That’s why they rented a scoreboard for each of their shows. The cost of renting was astronomical, with the price cutting deeply into their budget. To their surprise, a group of benefactors that wished to remain anonymous made a donation of a twenty five foot electronic scoreboard for CCRA. There are few places in the world where a rodeo reigns supreme as it is in Texas. This includes the ‘cowboy capital of the world’ in Bandera Texas. Rodeos are part of the community spirit and a true form of Americana. The CCRA prides itself on offering a venue where the best talent in the area can show off their performances. Kids learn at an early age the art of bare back riding, bull riding, saddle bronc riding and calf racing. Friends and family show up for their famous barbeque and shows and rodeo is an integral part of everyone’s life. The CCRA is also home to numerous awards. Year after year the CCRA group has won a variety of titles including: Best of the Best in Rodeo, Top Five PRCA Small Rodeo of the Year, Dodge Small Rodeo and Event of the Year. 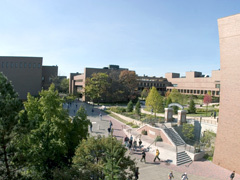 Rochester Institute of Technology – known as RIT, made the decision to get a new arena for their Tigers hockey team. William Destler, RIT president, called it “Tiger Power Play” and began the process of raising the funds to pay for the arena. The estimated cost should be around $30 million. Little did he know that one of their own devoted alumni was prepared to donate a $1 million top of the line, high tech electronic scoreboard. Stadium scoreboards have made a migration from a simple hand controlled device to display the team scores, to the enticing and exciting electronic versions of today that entice the fan to the full venue experience. While many attendees take these devices as an accepted visual and sound production of today, the evolution of the scoreboard has skyrocketed to a must-have at every venue and manufacturers race to keep up with the hungry demand of the fans. 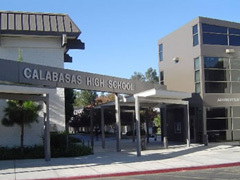 The Calabasas baseball team is known as The Coyotes. They are adamant about their game and even more devoted to the concept of team playing. Whether they win or lose, the Coyotes are bonded to working together. They also know how important an electronic scoreboard is for the game itself. When two of their fellow players passed away, they decided to do honor to them with a new scoreboard. In the sports of today, whether youth or professional, the presence of a high tech electronic scoreboard gives a venue the opportunity to play host to some of the best championships. The Rend Lake Aquatics Swim Team in Illinois has some of the best swimmers around and needed a scoreboard to bring the meets to them. Thanks to some very special people, this team had their dreams come true. 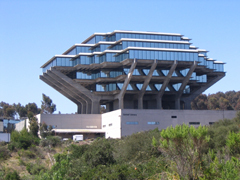 UC San Diego is an incredible school. 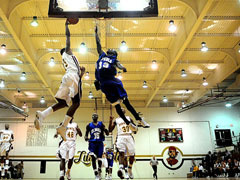 They have a proud history of excellence in education and winning athletes in sports. Their Triton Stadium has been given the title as one of the best on the West Coast, and features their famous track and field team. There is, however, a few things missing. The most obvious is a modern electronic scoreboard. The students at UC San Diego are well aware of the need and have decided to do something about it. As you gaze upon the students and teams at the track and field area of Triton Stadium, you find yourself impressed with the enthusiasm and talent. The stadium itself has not seen any upgrades since it was originally built around twenty years ago. Even though it has been in need for this long, there is a crisp, clean and well-kept look of the stadium and track and field. It’s apparent to anyone that the school takes great pride in the Triton. The major downside is that this is a stadium that would have the ability to play host to major sporting events, except that they can’t. Without an up-to-date electronic scoreboard, this field isn’t even a contender. 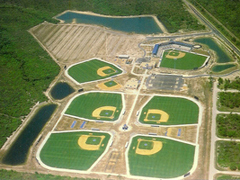 Charlotte County Stadium was home to spring training for the Texas Rangers for over fifteen years. When the Rangers left, it also left the ballpark stadium without quite a bit of income. Since it was rather old and desperately in need of upgrades, the stadium was redone and welcomed the Tampa Bay Rays. Port Charlotte is a lovely Florida town in between Tampa and Ft Myers. It has experienced spurts of growth that have gradually expanded it into a small little big town. When the Rangers departed the Charlotte County Stadium, seeking bigger facilities, the authorities of Charlotte County Stadium realized they had to do something about the condition of their stadium to bring in the bigger teams. The hottest news in Belle Vue England happened when the Wakefield Wildcats arrived to find their twenty foot scoreboard, gone missing. The Wakefield Wildcats are part of the Super League in Rugby and the scoreboard kept the tone of the game for the teams and fans alike. The community and officials are all baffled regarding the theft of the scoreboard at the Rapid Solicitors Stadium. School and campus pranks are well known around the world, and some can take on dangerous levels of bravado. However, there’s no evidence that the missing scoreboard of the Wakefield Wildcats is a school prank. In fact, the community and local police are trying to figure out exactly how this was one. Every school wants a new electronic scoreboard for their teams. It’s the topic that dreams are made of in the sports world. 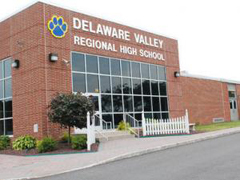 When the football team at Delaware Valley High School came onto their field, they were just down right embarrassed at their own scoreboard. The scoreboard was barely visible, and that was actually a blessing. To support their team, the Hunterdon Orthopedic Institute, a group well known to the team members, rescued the school and team sanity by donating the $17,500 needed for a state of the art scoreboard. The kids at Delaware Valley High School in Raritan County New Jersey are incredibly supportive of their football team. You can see videos of the latest “Terriers” games on the school website along with their motto ‘hold the rope’. The electronic scoreboard that was in their football field was the same board that was erected when the school was built in the 1960’s. The scoreboard became one of the major hurtles to overcome when the team entered the field. Some simply tried to ignore it. A university will often invest a lot of money into their stadium. 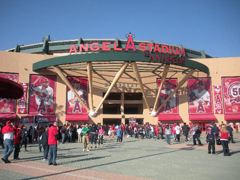 The stadium represents not only a location where everyone can gather, but also added revenue for the various sporting events and entertainment that can be held there. In an era of high tech, it’s not enough to have a classy stadium, you must also have an electronic scoreboard that will wow the crowds. 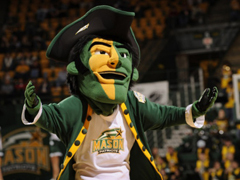 This isn’t the case at the Patriot Center at George Mason University; and no one is very happy about it. If you take a look at the kind of entertainment that appears at the Patriot Center, one will be incredibly impressed. Well known stars of stage, screen, comedy, music and drama. The list is a who’s who of the entertainment world. The sports events that are held at the Patriot Center are also an array that would knock your socks off. With all of money invested in the art of getting these shows, why in the world do they have a 1980’s electronic scoreboard that is an embarrassment to both teams and school? Americans have some fairly odd traditions, or at least they might be considered strange in other places. As a nation, we are devoted to our pets, spending billions of dollars every year on everything from their care to their finery. Texas A&M University is also very serious about their mascot: a dog named Reveille. Since there have been many mascots down through the years with that name, they have an honorary burial area and it has an electronic scoreboard. In 1931, a stray female dog was found by some of the students at Texas A&M and every time the bugler played reveille, the dog howled. 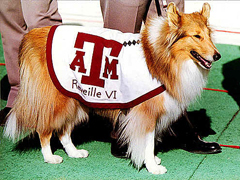 The name Reveille was given to the dog and a school mascot was born. Over the years, many female dogs have taken the mascot position and were given the same level of respect as she is considered of the same rank as a five star general. Almost all were Collies. As each of the succeeding mascots passed, they were interred with honors and given a burial position to face the scoreboard. Texas A&M played a great role and assisted the U.S. Army during World War II. One of the ways that the Army showed its appreciation was to give Reveille an official Cadet General (five diamond) ranking. Charles Page High School (CPHS) in Sand Springs Oklahoma is home of the “Sandites” and proud of it. This is a school where the sense of dignity and good old fashioned Americana runs deep. When the plans for their sports Memorial Stadium started showing budget cut backs, everyone came forward to help out. The original stadium for the school was built in 1949 and it was not only showing it’s age, it was falling apart. 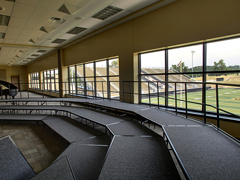 School officials knew that a newer stadium was needed and they put a well-planned budget together. The demolition of the old and loved stadium was crowned with a last game and a ‘farewell rally’ with part of the expenses being allocated for the removal of the old stadium. Unfortunately, the economic situation of the country took a turn and didn’t play along with the budget. Additional funds were needed for a number of unexpected expenses and the project began to pull at the seams with little money left over for the desperately needed press box, scoreboard and lights. 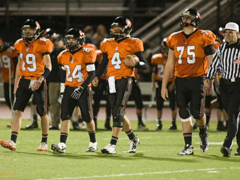 Ridgefield High School in Connecticut is very familiar in being the recipients of gifted scoreboards. In the past, the ‘gifts’ included a contract for advertising and promotion and this caused problems. That’s why they were pleasantly surprised when the school received a new electronic scoreboard with no such strings attached. One of the local residents, Larry Langois, just so happens to be the Nestles Waters North America senior manager of sales. Larry’s daughter, Ashley, attends Ridgefield High School and plays on the varsity softball team. Langois recognized the need for a good electronic scoreboard for both the players and the fans and came forward to make the offering to the school. If you have ever wondered what is important in life – just ask the kids! Anything and everything that they see and look up to, they want in their toys. From a visit to their local fast food restaurant to attending a sports game, the kids want a miniature toy version of the same thing. In today’s world of electronic scoreboards, the pizzazz and wow factors light up the kids eyes. I guess we shouldn’t wonder that there are now toys that try to emulate the same effects of the live game. 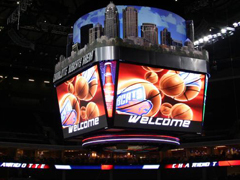 Take any child to a baseball, basketball or any sports event and their eyes will focus on the electronic scoreboard. Today’s scoreboards are designed to not only enhance the game, but give the fans the extra special effects that make a game a true entertainment experience. When the kids get back home, they want to continue that fun and thus enter the world of the electronic scoreboard toys. Anyone in technology knows that sometimes things happen, and there is no reason or rhyme of explanation for it. In the world of technical support, a ‘glitch’ can occur, never happen again and the conversation usually ends with “well, it’s a mystery”. While there are actual reasons, it would usually take too much time to figure it out. Sometimes things happen on electronic scoreboard displays. The manufacturers take every situation seriously and will always fix a problem. We rely on technology in every aspect of our lives. You have to admit, technology is mostly pretty good, with only a few things happening that will try to ruin our day. The importance of an electronic scoreboard in any venue is pretty obvious and this technology has to run perfectly from the get go. 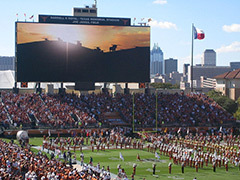 Whether it’s a big game between two rival teams or a music concert, today’s electronic scoreboards attract the attention of every attendee and the special effects keep their attention. Any little ‘glitch’ is not only irritating but down right embarrassing. For the first time in history, the higher tech electronic scoreboards are offering the ability to create whatever look and feel you need for every event. The digital technology combined with the intense color sections and graphics have an incredible flexibility. Every event has a unique look and feel and the scoreboard design should reflect the need. With a little background, you can even take this high quality visual and create a standard sports scoreboard look. 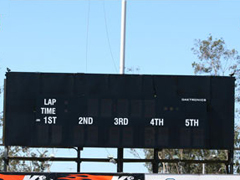 The importance of the electronic scoreboard has increased exponentially over the last ten years. Most fans of any sports venue now use the scoreboard as part of the continuation of the game. We view the board for information on our teams, but also for additional information, streaming video, ad hoc play-by-play. Most of us are accustomed to viewing the scores in a digital view, with each team on its corresponding side of the board. The board is part of the story of the game and we, as fans, look to the scoreboard for the information we need. 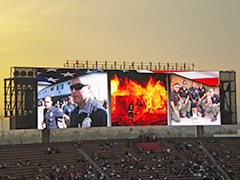 Today’s technology in electronic scoreboards can offer the same type of standard view and be customized to the attending team colors. In this age of multi-tasking, social media and high tech frenzy, it seems we are seeking some areas of our lives that are comfort zones. Many are recognizing that constantly being ‘connected’ is not always psychologically healthy. I have found that one common comfort zone is often found attending a good old fashioned baseball game, complete with vendors and scoreboards. 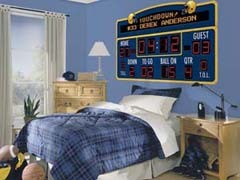 The thought of a sports scoreboard as part of a comfort zone might seem odd to some. But, for me, it is a remembrance of childhood. Attending softball games for my Mom’s team, the scoreboard was part of both the home and away games. My sister and I would sit in the bleachers on warm summer afternoons and evenings, watching my mom and her team mates as they played with every ounce of devotion they had. We yelled with excitement as each run was completed and the then manual scoreboard had the point added. Throughout the years, I have attended more concerts than I can count. I wish I could say that I always had a good seat; but, like most of us, I often ended up so far away, that the performers seemed little more than tiny doll figures. When one is sitting in the ‘nose-bleed’ area, the other major problem has always been the sound quality. Even the best of stadiums and arenas could not offer anything other than a fuzzy echo. In those days, the thrill was to simply say “I was there”; but not so anymore. The electronic scoreboards of today are more than just for the sports fans; they have become a major part of a concert experience, bringing the excitement to every seat in the house. 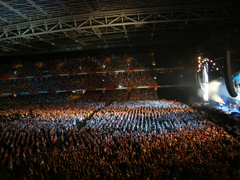 Whether you are into classical, rock, reggae or pop, attending a concert is completely personal. The event is the highlight that caps your collection of CD’s or downloads and brings a moment of life to the music. There is always a static electricity in the mood of the crowd before a concert and the buzz and hum that occurs just prior to the dimming of the lights. 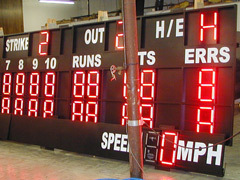 Once darkened, the era of the electronic scoreboard changes the scene as a high tech, color blasted visual blasts into view. 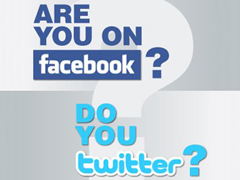 There is no denying it; we are in a tsunami of social media and internet awareness around the world. From political events in the news to sport events in local and national games, every person is checking their Facebook and Twitter updates and communicating like never before seen in the history of humanity. Keeping up with this technology race in the electronic scoreboard arena is pretty much a no-brainer, and benefits all that are involved. Coordinating electronic scoreboards with the internet and social media involves a deliberate and well though out marketing plan. 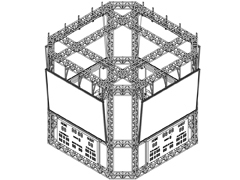 The electronic scoreboards of today do have the ability to do wifi net feeds, but, there is more that is involved than sending information to a page. If you are involved in the project of adding electronic scoreboard information to the net, you need to understand the psychology and differences. 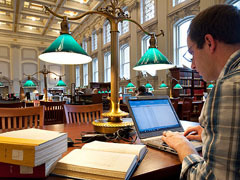 If you are older than 30, you have experienced a wash of technology that has no comparison in the history of humanity. The New Milleniums have no concept of what life was like without ‘the net’ or cell phones and most are connected with social media to the point where they are in contact with their bff’s at all times. While the Baby Boomers are now the largest group adopting smart phones, there is still a bit of a disconnect when it comes to the many other areas of technology. It depends upon the expert (and the age of the expert) that you talk to regarding the pro’s and con’s of our fast pace race with high tech. We are in an era where technology is moving faster than the average consumer can keep up. There is one area that surpasses all others in the demand for high tech: sports. The nation’s sports fans are insatiable for bigger, better, flashier and brighter. 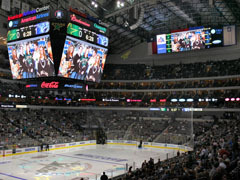 The American Airlines Center in Dallas Texas is quite aware of the demand and is surpassing all expectations with the recent installation of their new 1080 high definition replay and video system. This is part of their continued effort to live up to the promise they made to fans to offer the best in technology. Fans of the Dallas Stars and Dallas Mavericks will be participants in viewing the new scoreboard that boasts a 300 percent scoreboard increase in resolution in their two video displays. This unique system is setting the bar high for stadiums and is a new generation in both visual and audio for the fans. Quality LED technology offers brighter, clearer pictures so that even the most remote fan in the stadium can see what’s happening. How exciting is a new high school electronic scoreboard? VERY! There is probably nothing more devoted than a community member to their local high school sports teams. Whether a parent or teacher, we seem to be more involved in the sports events than often the national leagues. Every aspect of the games work their way into our daily lives: fund raisers, ticket sales, and above all – going to the games. So when the local high school needs a new electronic scoreboard, this brings our attention to the forefront. You might think a scoreboard is a small consideration. Au contraire. 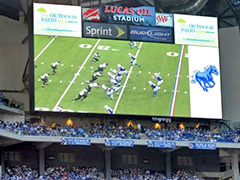 In this day and age of fan participation, sponsorship and advertising, the quality of the scoreboard is now front and center compared only to the topic of the field itself. The investment process must take into play various factors: indoor or outdoor board, size, visual quality, audio additions, colors and advertising opportunities. Each of these areas will affect the overall success and must be appealing to the fans. When the topic of a new electronic scoreboard is being discussed at the local high school, everyone in the town becomes part of the conversation. Anyone that has recently been to a stadium for a sports event or concert has probably witnessed the next generation of electronic scoreboards. What started out as an informational display so many years ago is now the state-of-the-art for visual and sound in complete entertainment. A few years ago, scoreboard manufacturers took a good hard look at the type of high def and quality in-home theatre experiences that were available for purchase. In order to compete, they had to develop something bigger, better, and with more flash than something that could be found at home. Thus entered the new high definition, high quality, large video screens. They partnered with quality sound companies to add a touch of excellence in a closer-to-surround sound ability, and the audio visual senses are complete. Recognition of the importance of electronic scoreboards has now reached front and center of attention. 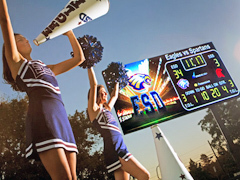 Team managers, sponsors and advertisers know that a good electronic scoreboard can be the hit of a game and bring additional revenue to the team and school. 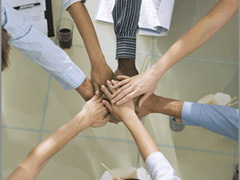 It is always a major hurtle to address the cost of such a venture, and the typical way is to organize a group of people that will not only head the project but work on fundraiser events. 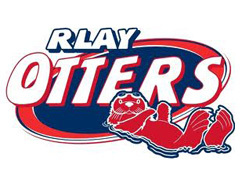 A local school team is usually supported by the school and the residents. When a community sees a group putting their efforts into multiple fundraisers with the backing of volunteers, students and faculty, everyone joins the band wagon to help.